Abstracts are prepared to inform the photographer about my results. He may not fully understand the whole context. The complete compendium is in work. My survey is based on the analysis of radiaesthetic waves. Thank you for your wonderful photo. All noted figures are so-called setting values (= EW) on a Lecher Antenna® of R. Schneider. These values become adjusted with a slide on a circuit board and vary the receivable wavelengths. The Lecher Antenna® works semi-physically like a dowsing rod. The waves hereby received are radiaesthetic waves. There exists a broad experience for these setting values. Such distinct EW will be localized on the photos within drawn lines. 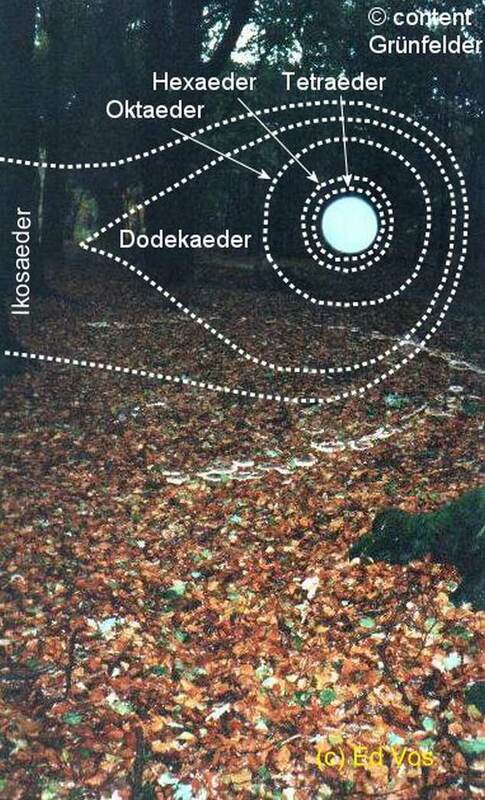 This picture was photographed on the Dutch estate of “Kernhem” with an analogous APS camera. Graphical data are therefore not available. A beautiful park lies around a castle, lakes and bogs are quite near. That ORB photo attracted me already for a long time. Mushroom circles have often weird meanings to the general public. But mushroom circles are also for dowsers an interesting object. Here even a light ball appeared above, happy photographer. Within my advance queries, the world of the earth, of plants, of water beings and special clusters were affirmed to be present on the photo. 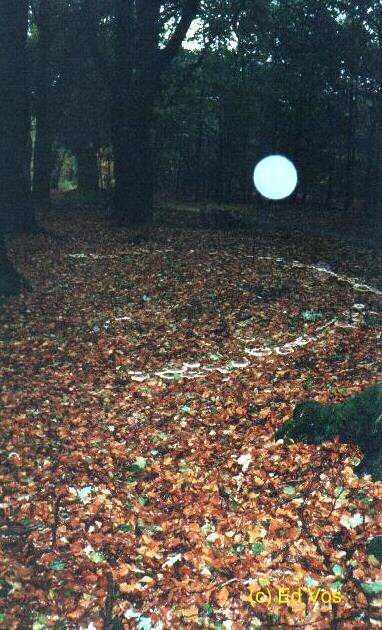 Compared with some other ORB pictures this was pleasantly little. Here I commence with the water beings. Four can be found. Two even embrace the light ball. The others at least approach him. All act quite dynamic. They come from the left and strive to the right. It looks as if they would tear on the ORB. 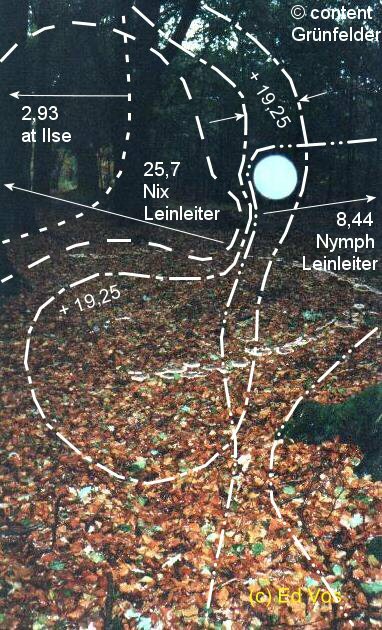 I found the EW of the nymph and of the water-sprite "Leinleiter" years ago with the help of a clairvoyant at the powerful spring of "Leinleiter". Pleasant, their types live also in Holland. For me pleasant as well, because I cannot check so often my EW, here they were confirmed. I had discovered the 2.93 on an ORB photo of Mrs. Ilse Jenkins, so this water being does exist not only in Michigan USA. Concerning the origin of the +19.25 I cannot remember. In this picture, I kept preliminarily the notes out. The fields’ lines centre on the light ball; two of them open to the left. The picture leaves a magical impression. 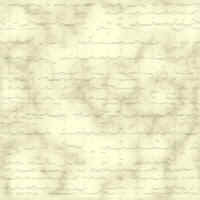 These lines are borders of special cluster forms which physical steam can even form in our air. H20 molecules would not only bond to arbitrary clusters but also to harmonious compositions. Forms of highest quality are the platonic bodies. Meanwhile, at light appearances, I check for them because they are as well important within the sacred geometry. Even the ancient Greek had honored them with philosophical considerations. Their geometric forms embody not only certain purity but their structure is also able to hold special information. These abilities contribute sublimity to Orbs. From other examinations on ORB shooters I recognized that they contain inside platonic clusters as well. Most of my examined light balls are a so-called consciousness. One of their sub-types, the active consciousness, contains all platonic clusters. This can be detected whether they shine on the image or not. It astonishes here that they are distributed exactly according to their complexity. The tetrahedron wraps only the light ball, the most complex form of the icosahedrons expands at the outside. If I apply the interpretations of the Greek philosophers, then the ORB contains all platonic Clusters, however only fire is in its core. This is then wrapped by earth like in reality. Air follows then and next the ether. The icosahedrons finally stand for water; in a more overall meaning I would replace it by hydrogen. It is the basic constituent on earth and in cosmos. So the whole offers a significant parable: Like in the large so in the small and reversed. Of course I have examined the ORB with my usual consciousness frequencies. So far known values did not react. Therefore I scanned his frequency and received the EW of 0.4342, a new figure. 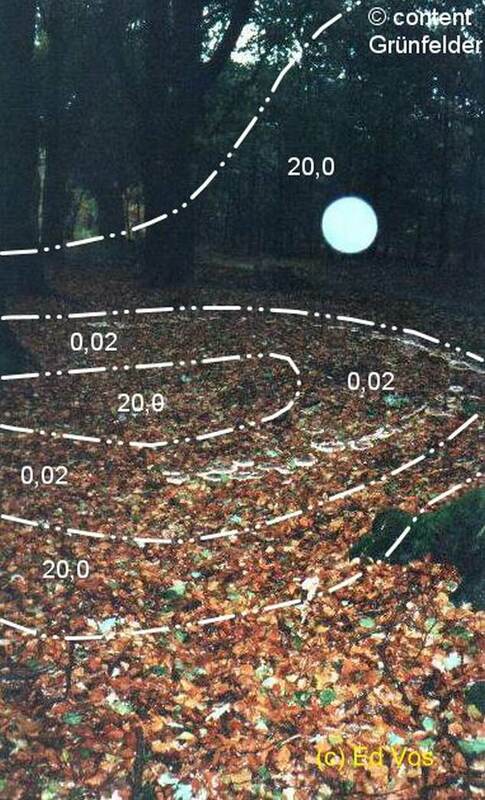 I had to analyze the unknown EW mentally: “This figure indicates clearly a "consciousness" with its origin from water. Here it arose during a strong low pressure period out of water surface at a nearby pond. Certain planet constellations might be helpful. This Orb is capable to more than a pure water consciousness. The light was there about 1 minute before and 7 seconds after the photo was taken. It came in from the left.” Other qualities might only be revealed from similar further ORB photos. This demonstrates one thing again: I did not encounter the world of water before I started with ORB interpretations. Their water realm seemed not to be part of the world of trees examined at that time. Meanwhile, I realize more and more a division into three invisible world levels, namely that of water, that of the plants and then that of spiritual entities. Of course the transcendental of humans and of animals have also their own realm. In accordance with my advance interrogation the theme of earth still needs to be examined. This became interesting. In the following foil you see that the 0.02 surrounds the mushroom circle. The 20.0 also follows him but shoves higher around the ball and to the right. Its meaning has not yet quite developed but would be some kind of overall earth consciousness. At least, here our earth becomes aware of mysterious events. However, earth still has another series of EW which distinguish different events only within few decimals and controls them in different manner again in ranges of only second and third decimal alterations. I searched the known EW on the photo, but found only new ones. So far I did knew about 20 EW, theoretical it must be more than 60. I scan the picture and find that two of the new values fill the whole image and one lies outside below the 20.0. I succeeded with their classification and got a real breakthrough. They belong to an information field of water. This was new to me but it fits in very well to the special status of water. Until this photo, a general information field for humans, animals and plants was known to me. Now, there is one for the world of water too. It is split in similar levels: the past, the presence and the future. It also has a creative energy and some EW which appeared already in this picture (yellow lines). Below is the pure presence of the information field. Over the whole image the life plan and the aura of the water beings are distributed. This matches wonderfully with the earlier found water beings. For me the discovery of a water information field is an enormous push and also provides satisfaction. So I shall expect more mysteries when examining other ORB photos. Finally, the world of the plants is present, but it will tackle more with the trees which dominate the park. Probably they could play a role within a geomancy. They might be simultaneously active but I think they will just watch and only accompany the event. Perhaps they might deliver carrier frequencies for the process here. But I feel no need to elaborate on the distribution of their frequencies.